A story of street dogs, Au-Pairs and other strainers. Of to the south… but NOT following the sun! That was my slogan when I left to Chile in July. I started in the sunny Germany and traveled to the rainy Araucaria, the lake and volcano region of Chile. Toilet paper belongs in the rubbish bin, not in the toilet. In every corner is a street dog who is just waiting to follow you around all day. A day without palta (avocado) or a completo (hot dog with avocado) is a lost one. The only thing one can rely on when meeting a Chilean is the unpunctuality, the „tiempo chileno “(minimum half an hour late). One who cannot make a fire is immediately judged as a „gringo“. It is however impossible not to love the Chileans, with their life styles which is so different from the German one. In summary, there is way less planning and more life! The present is what counts and not the future. And who lets this feeling soak in, will learn much about himself. I immediately fell in love with my new home Pucon. 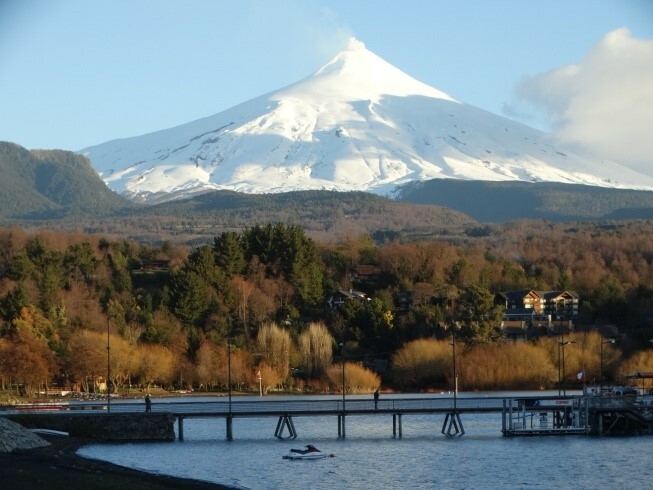 This region is dominated by a volcano called Villarrica, and it is very famous for being the outdoor paradise, which is why thousands of tourists travel here to enjoy the variety of nature and sport activities (skiing on the volcano, kayaking, rafting, horse-back riding, hiking, …). I have to say it was hard to make new contacts in the rather small city of Pucon, but the waiting was worth it. My Spanish was in the beginning very limited to „Hola“ and „Ciao“, which complicated deeper and more meaningful conversations with other people. However, the Chileans did not exclude me because of these problems, and with hand and feet and their little English skills, I made friends and found out much about their lives in Chile. Now, after 85 days in Chile, I am able to say that this way of communication is over. Today, with a little patience and many „puedes hablar un poco mas lento por favor?“ (could you speak a little bit slower please), I get around with salesmen, members of my team in our club and other people and I am free to have conversations and nice talks with them. That is why it seemed impossible for me in the beginning to communicate with my Au-Pair child (Nayeli, 4 years old), who grows up bilingual, and now it seems like I have to force myself to actually speak German sometimes. Only one child? Sounds like a paradise! Often this is the case, and most of the mornings I am on my own, because Nayeli is in the kindergarten. In the afternoons I have time to fully concentrate on her. However, rainy days can be pretty long when you are just two people in a big house. This is why we are mostly outside until the evenings, on playgrounds, visiting my or her friends or we go for walks and sometimes we only relax at the beach of the lake. 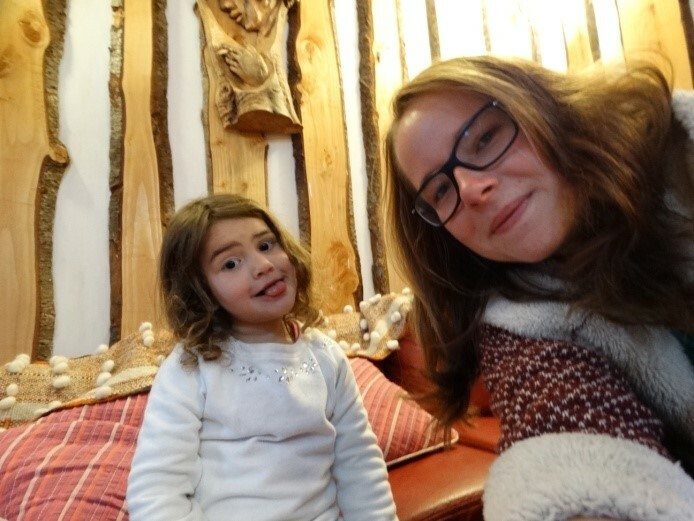 In order to summarize my experience as an Au-Pair: Nayeli is my little sister now and no blood can change that. And when she cuddles me in the evenings while saying „I love you big sister“, then I know I made the right decision coming to Chile. I am sure that my year in Chile was an unforgettable experience for me and despite ups and down I would not want to miss it for the world.